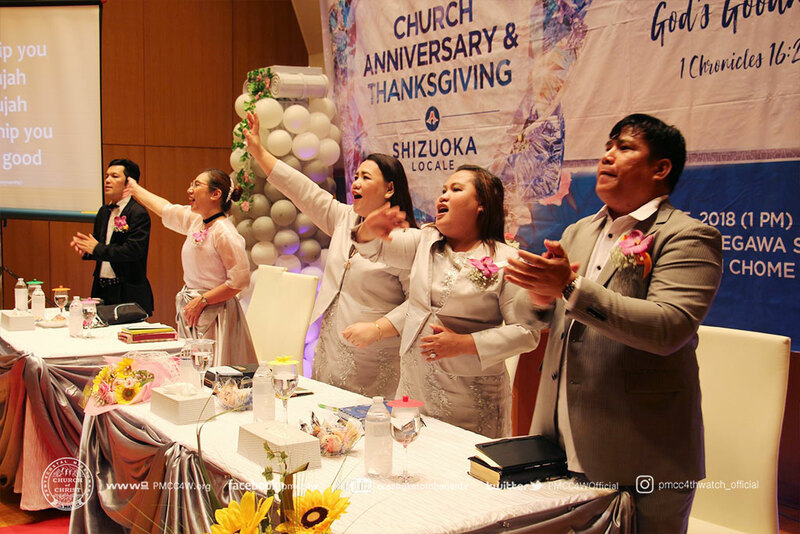 Indeed, God’s awesome and mighty works were evident in the Pentecostal Missionary Church of Christ (4th Watch) Shizuoka Locale’s victorious 11th Church Anniversary and Thanksgiving held on August 5, 2018 at Bikan Hall. The day joyfully began with a Sunday School Service. Sis. 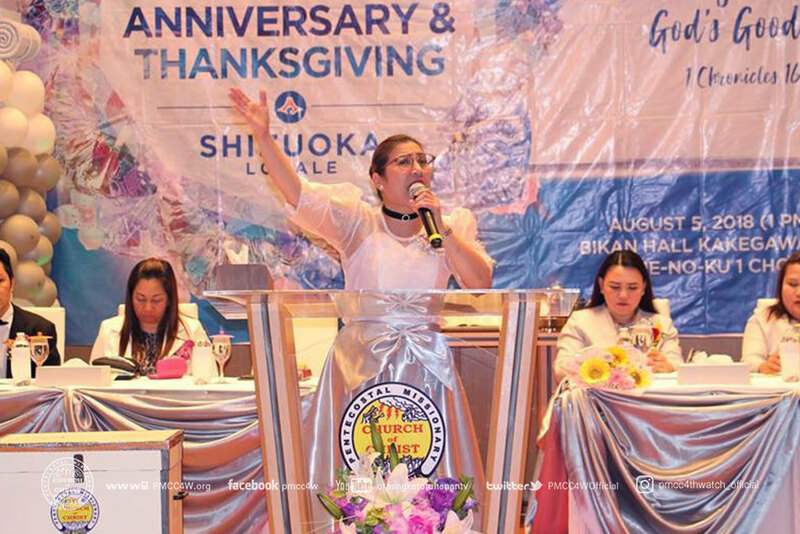 Michelle Gavino, the Master of Ceremonies, led the congregation in singing songs of praises unto the Lord. 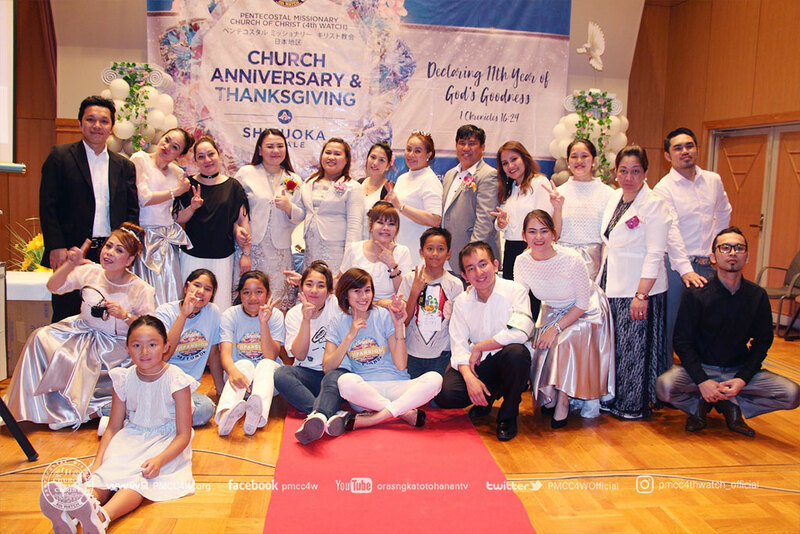 These prepared the hearts and minds of the brethren in receiving the message of the Lord, which was ministered by Ptr. 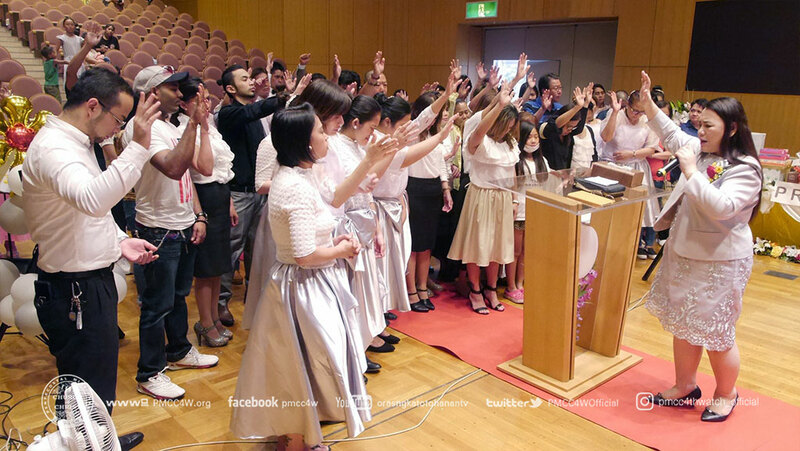 Nimfa Barrera, Japan District Sub-coordinator and , Minister of Nagoya Locale. 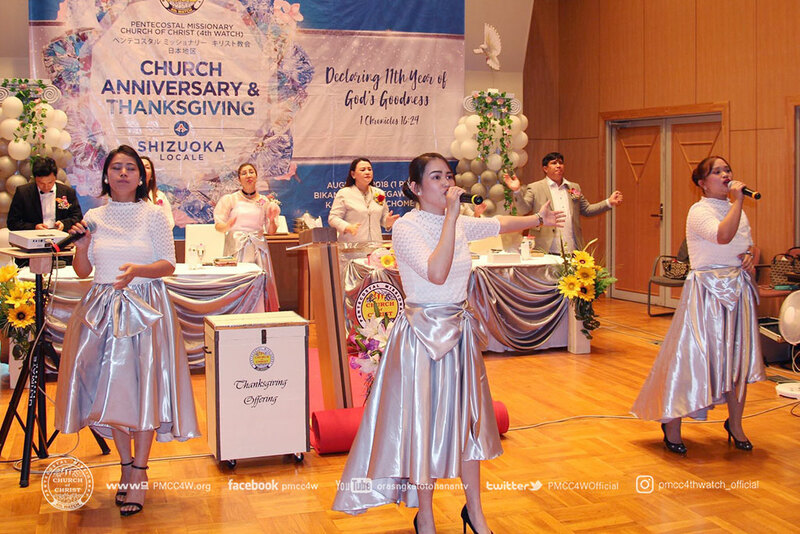 As the celebration went on, the moving of the Holy Spirit was magnified in the uplifting songs of praises led by the Shizuoka Praise and Worship Team. Sis. 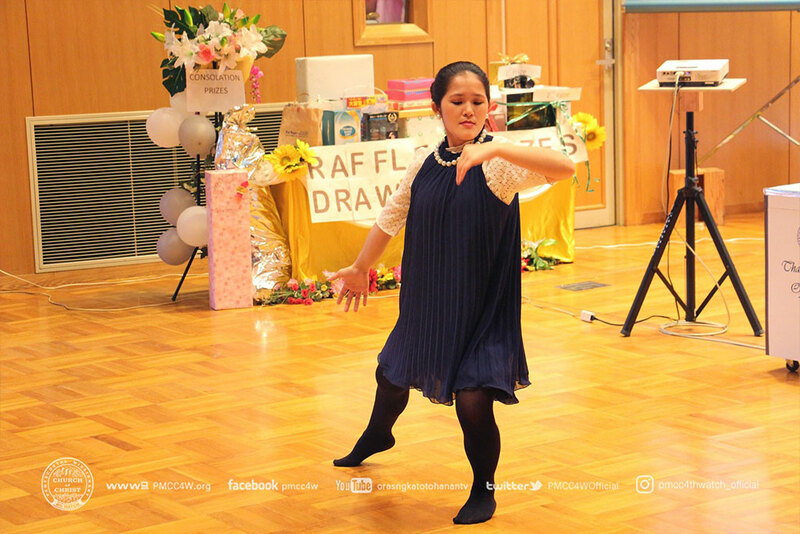 Jasmin Okubo led the Opening Prayer, Bro. 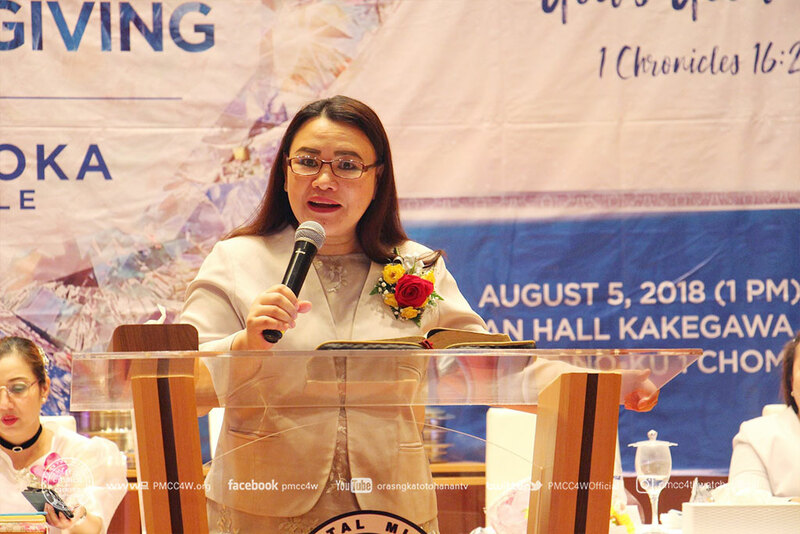 Julius Coloma read the Scriptures, and another Song of Praise was offered unto the Lord by Sis. Herlin Ogasawara. 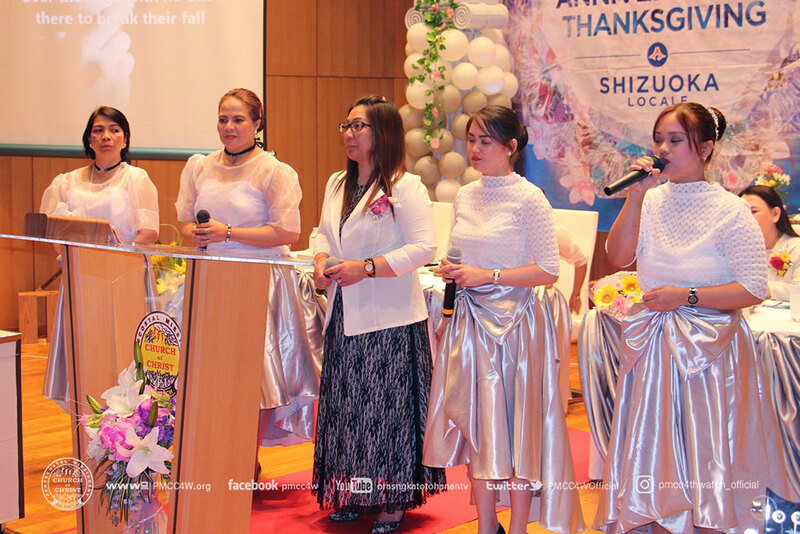 Fired-up by the singings of the brethren, Pastor Sheila Valencia, Head Minister of Shizuoka Locale, warmly welcomed everyone. Ptr. 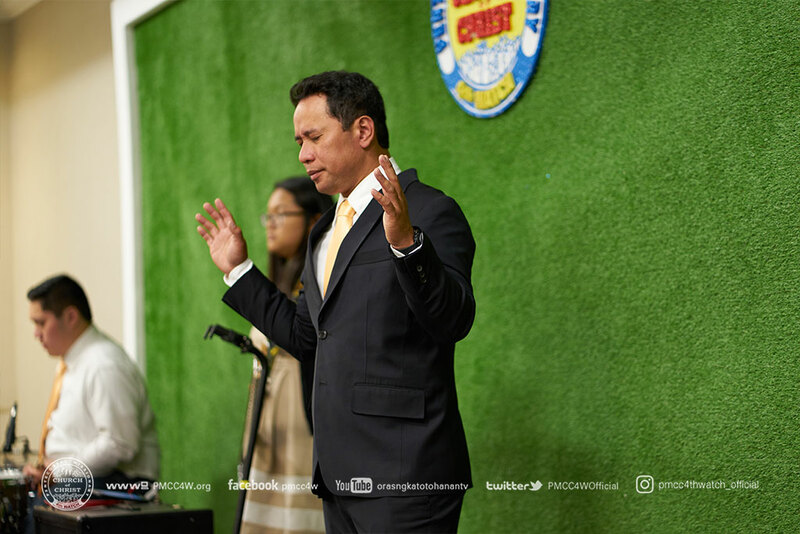 Johnfer Valencia, also a Minister of Shizuoka Locale, on his Offertory Message reminded everyone of the importance of obeying God’s commands in giving and sharing, especially the giving of our Tithes and Offerings. 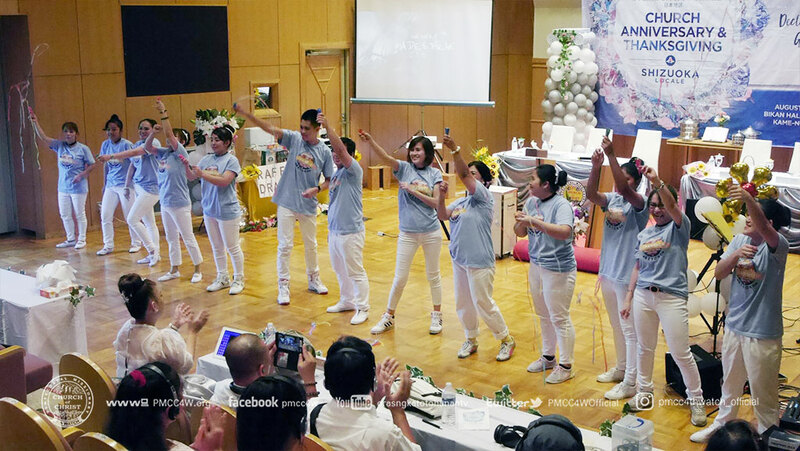 He further stressed that we should do it with hearts filled with thankfulness and joy. 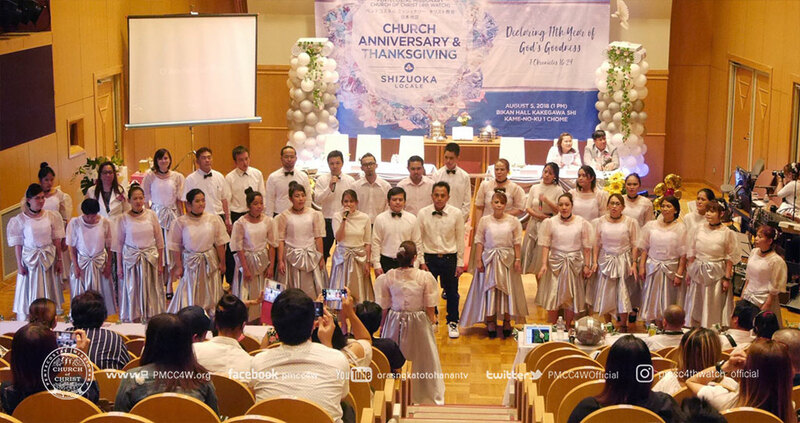 Right after the Offertory Message, a Video Presentation, with an Interpretative Dance and Song Number were presented by the Shizuoka Choir. Ptr. 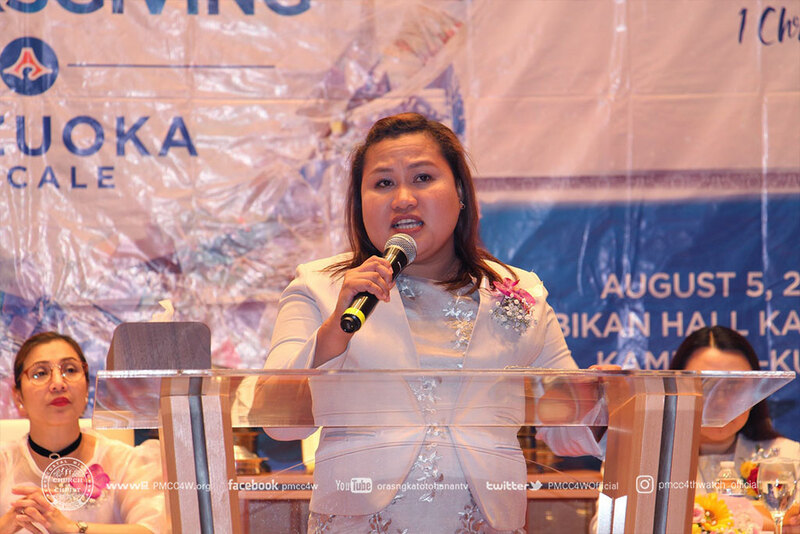 Sheila then introduced the Keynote Speaker of the special gathering. 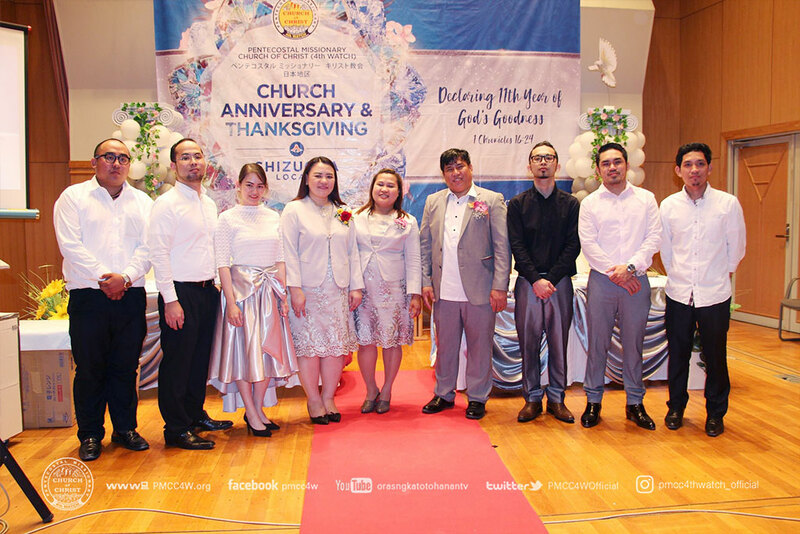 From the anniversary theme “Declaring 11th Year of God’s Goodness”, Ptr. 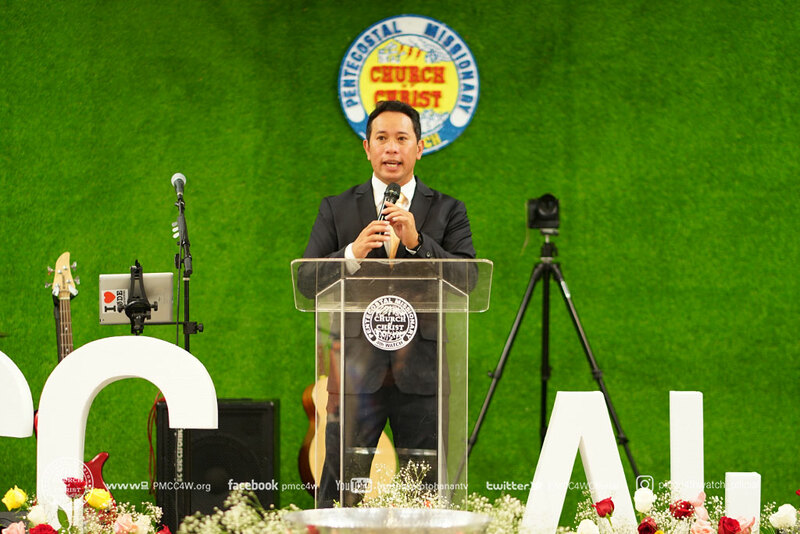 Nimfa Barrera explicated “God’s Goodness” and “The Reasons why we need to declare God’s Goodness”. Indeed, as recipients of God’s mercies and graces , it is only but right to lift up His wonderful Name and proclaim His goodness and faithfulness to all the world. 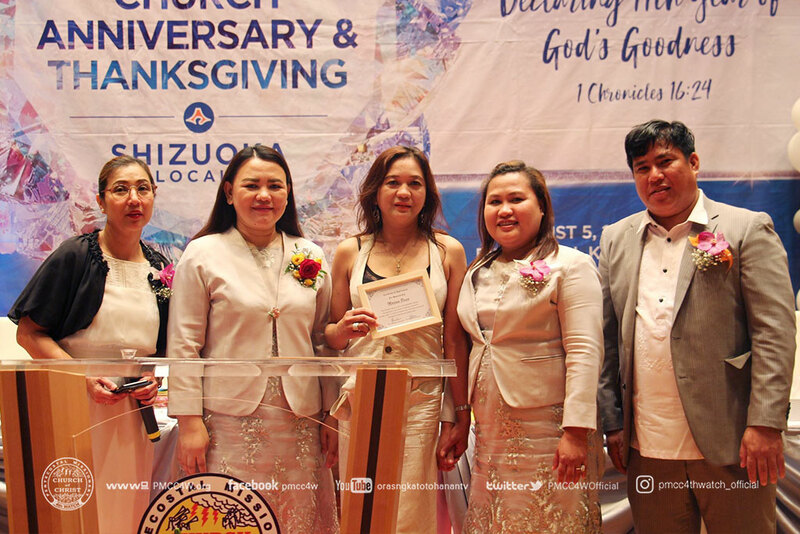 Later on, brethren and guests dedicated their Thanksgiving Offerings unto the Lord and gave their pledge to sincerely serve and fully commit themselves once again in God’s work. 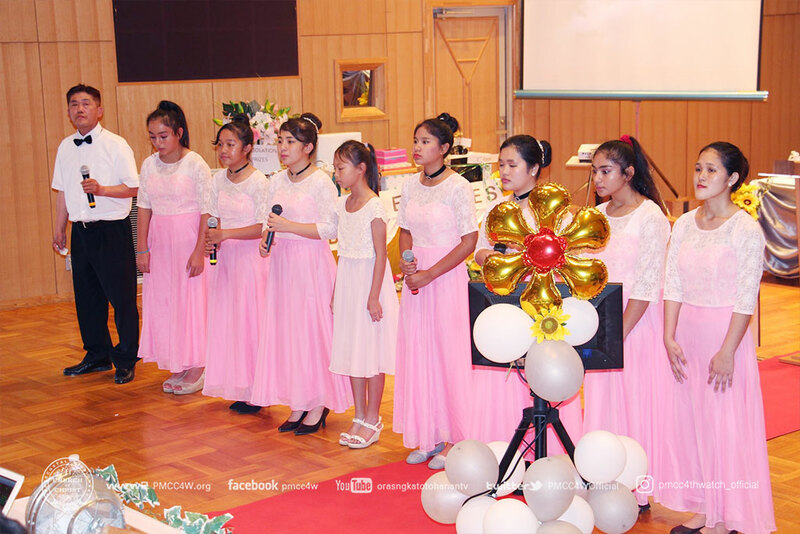 Before the day ended, selected Shizuoka brethren once again rendered an original composition, entitled “Pinalaya”, followed by a Raffle Draw .